You don’t have to wait a whole year to see your counselors and friends or do all of your favorite summer camp stuff! 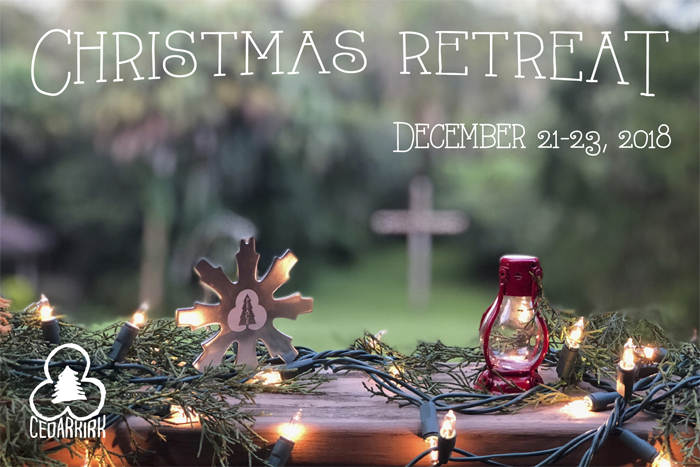 The Christmas Retreat brings you a little bit of summer camp in the winter! Join us for a weekend of fun, faith-building, fellowship, and fantastic food as we learn about – and prepare for – the birth of Christ and what that means for our lives today. This is also a great chance to bring a friend and introduce them to camp! Check-In for the Christmas Retreat is from 5:30p-6:30p on Friday the 21st, and ends with a brief Closing Program at 2:00p on the 23rd. Online registration for the Christmas Retreat is now closed. If you are interested in registering or have any questions, please contact the camp office at 813-685-4224 ext. 2 or camps@cedarkirk.org. We do not want financial hardship to prevent a child from coming to camp – contact the office or click here to inquire about a confidential, need-based scholarship.